Note: This welder is no longer produced. It has been replaced with theMiller Dynasty 210 DX CPS TIG Welder. It is very similar and we will have a full review coming soon! If you are looking for quality and maximum flexibility, then the Dynasty 200 DX is for you. This welder by Miller electronic has combined advanced inverter technology with Auto Line technology. 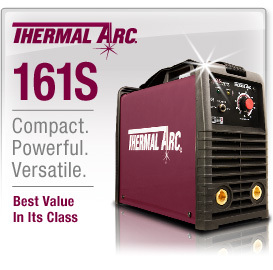 What this means is that functionally, it is the most flexible AC/DC TIG/Stick power supply in all of welding. It is incredibly powerful as it can reach a maximum voltage of 460 volts. In addition, it has a special feature known as the SquareWave Arc which is responsible for improved weld ability on aluminum and magnesium. One of the modes has DX which means that it has an air cooled fingertip control contractor kit, offers pulse on/off, pulse frequency, a peak % time, background and initial average, initial amperage and slope time, and final slope time and amperage control. There is a precise cleaning control with this welder which in turn leads to prolonged tungsten life. There is also better directional control due to the AC frequency control range of 20-250 kHz. No need to worry about overheating as there are built in pulses to reduce the heat input. Unlike other models that have noisy, continuous fans, this model has an automatic fan that only comes on when the cooling system is needed. The auto line power management ensures that you do not need to relink the power source when connecting to 120 – 460 VAC, or single or three phase power. When not used correctly, the machine may smoke meaning the quality of the machine is inconsistent. Miller customer care is not adequate for addressing any issues that may arise. They are often reluctant to replace faulty machines. 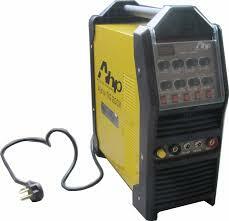 This welder is excellent as it has superior TOG/Stick arch performance on all input voltages. It has a simple design that makes it easier to learn how to use it. Add on voltage reducers are not necessary as this welder has a built in circuit design. It is available in various versions including one with a foot pedal or a torch light. Tungsten contamination is eliminated because of the non-contact arc. The power switch is connected to the back of the machine, which makes it difficult to put on or off. Although some may find this placement convenient, we find it extremely inconvenient. Although you can order your machine with a carrier that has wheels for ease of movement, if the wheels are not turning or swiveling, it may move in just one direction which could be more of a hindrance to movement. Customers concur that this is an awesome machine when it comes to delivering results, it is able to do so with ease. This machine is also powerful, precise and has some excellent arc controls. 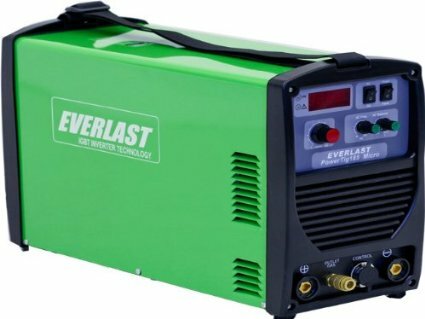 This welder costs a little more than most of the others in the market, but the moment that you use it you will understand why. It is highly functional and delivers what it is supposed to. In addition, it is easy to use and has a large number of additional features which give it more value. The ac/dc capability means that it can be used with a range of metals, making it versatile and practical. Customer opinions also elevate this welder, as there are almost all completely positive, with the major complaints centering on the aesthetic appeal of the product rather than its functionality which appears to be flawless. When looking for a high quality welder, that packs a powerful punch, look no further than the Dynasty 200 DX. You will not regret it.